Data obtained under freedom of information law by animal rights group, OneKind, and passed to The Ferret details the terrible welfare conditions faced by cattle, sheep, pigs and chickens while being transported to Scottish abattoirs. Many animals were found heavily pregnant, injured, dead on arrival, or in otherwise poor health by inspectors from the Scottish Government’s watchdog agency, Food Standards Scotland (FSS). Reports show that some animals were transported without water, bedding, or enough ventilation to keep them alive. Animal welfare campaigners called the findings “abhorrent” and said they expose the “shocking reality of live animal transportation”. They are urging for tougher sanctions to prevent further animal abuse. The Scottish Government said that animal cruelty “cannot be tolerated” and that it expected standards agencies to investigate any welfare breaches. Those found guilty “should face the full consequences of the law”. In some instances, inspectors believed that animals had died due to trampling, crushing, suffocation, overheating or stress. Other animals arrived with injuries such as broken limbs, puncture wounds, haemorrhages, bleeding orifices and lacerations. Some animals were slaughtered on arrival due to their injuries, as well as exhaustion, lameness, weakness, or being unable to stand. One lamb was born in a holding pen and “shot and disposed of” after its mother could not be found. In 2017, The Ferret reported some of these animal welfare breaches and others which were recorded by FSS inspectors at Scotland’s abattoirs between 01 May 2015 and 31 January 2017 – a total of 706. More recent data details 321 breaches specifically related to live transport, which were recorded between 06 January 2016 and 28 December 2017. The majority of incidents (182) were deemed to pose a “potential risk to animal welfare with no evidence of pain and suffering” while the remaining 139 created an “imminent risk to animal welfare and evidence of pain and suffering”. One report notes that “the driver is responsible for animal welfare” during transit. The vast majority of breaches (239) were reported as involving cattle. There were 45 breaches listed with sheep, 34 with pigs and 3 with poultry. Many breaches involved multiple animals. In both data sets, the names and details of the abattoirs, farms and transport companies that breached regulations were redacted. One report states that a quarter of a load of sheep transported were found to be “badly bruised”. The inspector noted that it was “not the first time” the issue had occurred with the haulier. After an internal examination into the handling of animals on-site found no welfare issues, the inspector concluded that the fault lay with the haulier. However, an FSS spokesperson said the case was still under investigation. We previously reported that one slaughterhouse worker was said to have been “intimidating and vicious” with a sheep, a driver was seen kicking a pig and another was spotted dragging a pig by its tail. Bob Elliot, OneKind’s Director said that such welfare breaches have “long been a serious issue” in Scottish abattoirs and called for “urgent action” to prevent further suffering. He said that new figures “expose the shocking reality” of live transportation and should serve as “a huge wake-up call to the agriculture industry”. 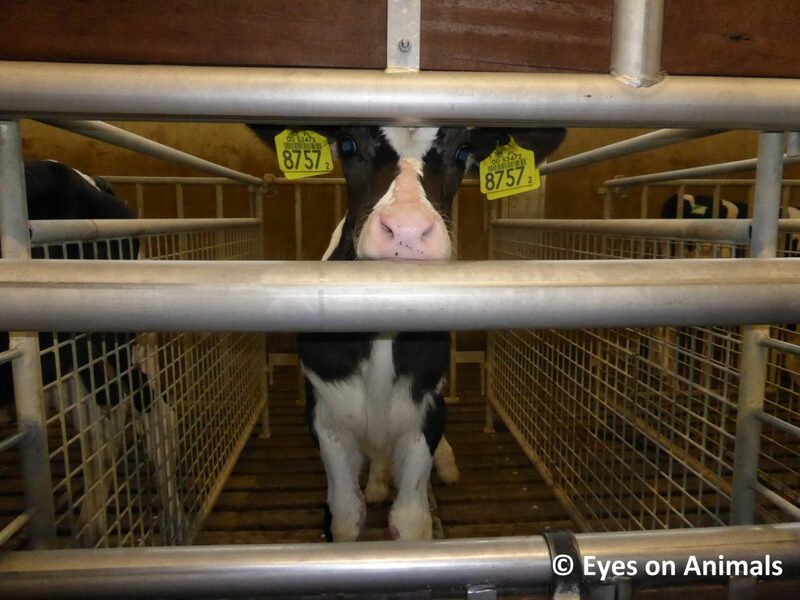 According to the FSS inspection log, there were 196 incidents in which animals were transported in the late stages of pregnancy and in 89 instances animals were found with broken legs, bruising or other injuries. In 11 cases, animals were in poor health or weak and in 10 cases were dead on arrival. The remainder of animal welfare breaches were due to inadequate conditions or equipment (9), or other flawed procedures (6). Most of the incidents (282) resulted in information being passed to Trading Standards or Scottish Government animal health offices (32). No action was deemed applicable for five cases, while one was referred for further investigation and another for enforcement advice. Bailey said that tougher enforcement was necessary while animals “continue to be slaughtered”, and that sanctions should be issued when cruelty is inflicted. “We would encourage tough new curbs by the Scottish government to prevent the many incidents causing immense suffering as evidenced in the findings of The Ferret”, he added. Campaign group Eyes on Animals echoed Bailey’s call for stricter laws. The Scottish Government announced in January that new legislation would be introduced to make CCTV cameras compulsory in Scottish abattoirs. Minister for Rural Affairs and the Natural Environment Mairi Gougeon said at the time that over 95 per cent of all animals slaughtered in Scotland were covered by “some form of CCTV but acknowledged that “the standards of that coverage can differ from location to location”. The Scottish Greens‘ food and farming spokesperson Mark Ruskell MSP told The Ferret that he had repeatedly raised the issue of live animal exports in Holyrood over the last year. The UK Government Environment Secretary Michael Gove had previously announced his intention to ban live exports after Brexit, but has since avoided using the term “ban” – instead using “restrict” – which has sparked concerns amongst campaigners. The Scottish Government has also faced pressure from animal welfare groups after resisting calls for a ban. Scotland’s Rural Economy Secretary Fergus Ewing said he was “absolutely clear” that he would “not be participating” in a ban, which he said would hinder Scotland’s farming and agriculture sector. Asked about the animal welfare breaches recorded by FSS, a Scottish Government spokesperson said that they were “totally committed to the highest possible welfare standards for animals”, including those in transit. “We absolutely expect all legislation and rules on the transport of livestock to be adhered to – and enforced by the relevant agencies”, said the spokesperson. A spokesperson for the Scottish Association of Meat Wholesalers also deemed the welfare breaches “unacceptable” and supported court action for anyone found responsible. However, they stressed that “the vast majority of livestock” handled by its members fully complied with animal welfare laws. FSS said that vets were in place in Scottish slaughterhouses to enforce animal welfare standards and that action was taken “dependent on the type of breach”. All welfare incidents “attributable to transport or on-farm conditions are referred to local authorities and/or the Animal and Plant Health Agency for further investigation”, while FSS is able to refer offending food business operators to the Procurator Fiscal, which can lead to operators losing their license. Phil Brooke, the Research and Education Manager at campaign group Compassion in World Farming said it was “shocking to learn, yet again”, of the cruelty inflicted on Scottish farm animals during transit. Ferret members with a current subscription can download the full dataset that underpins this story. Image courtesy of Eyes on Animals. This story was published in tandem with the Sunday National. The only consolation is the fact that more and more people are beginning to reflect on our society’s relationship with non-human animals. In the short-term we definitely have to improve the welfare standards where they fall well short of acceptable, as in the cases above.